They say that you’re only as old as you feel. But to everyone else, you’re only as old as you look. 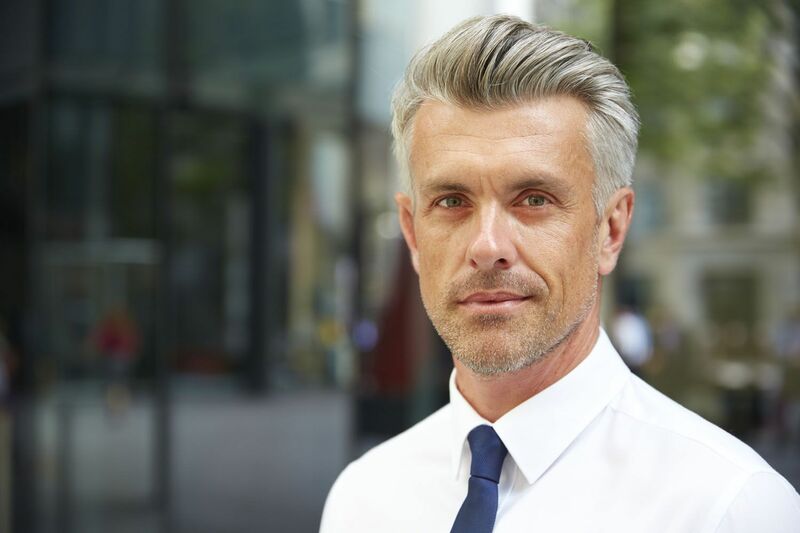 If you want to maintain that youthful look, then take a look at these 9 great tips on how to stay looking young for men. Fellas, are you looking in the mirror and dreading the idea of looking like you’re “over the hill” in vitality? Are you showing some signs of balding, saggy skin, or an abundance of sunspots? Okay, don’t panic, the whole midlife crisis concept is more psychological, rather than literal. Don’t let your stresses over getting older snowball into a freak-out. There are plenty of actions on how to stay looking young and turn back the clock. You just need a multi-faceted plan of attack. Follow these tips and you will soon realize, you have plenty of gas left in that tank! Start incorporating moisturizer and anti-aging creams into your bedtime routine. Apply skin creams that contain antioxidants and retinol to get a leg-up on sagging, wrinkles, and cracks. As men, our faces go through a ton of abuse from the sun, dirt, and wind. If you’ve never used any form of moisturizer on your face, you will notice some dramatic improvements over just a few weeks. The sun is the number one cause of signs of aging. It speeds up hair loss, reduces collagen (which keeps skin tight), causes wrinkles, and discoloration. You ever see pale, older women, with supple, smooth skin? They are always protecting themselves from the sun; umbrellas, big hats, long sleeves, and etc. Wear wide-brimmed hats more often. Get to love your fedoras, straw hats, and baseball caps. Applying sunscreen during the hottest days is a no-brainer, but if you do forget, at least you have some defense with a hat. Another straightforward tip on how to stay looking young. Exercise helps make you look younger in many ways. First of all, it will keep your physique youthful; back straighter, shirts fitter, stomach flatter, and etc. Not only will appearances change, but your attitude will also, as you’ll have more energy and more confidence. Regular exercise is the number one way (next to diet) to take better care of yourself as a man. Keep that blood pumping and it will keep everything from skin to manhood healthy and alive! You don’t need to throw out your whole closet full of clothes, but you should be actively updating it. Get rid of oversized clothes that hide your figure. It doesn’t matter how fat you think you are, you aren’t doing yourself any favors hiding. Everyone has to start somewhere, so you might as well dress for style, not just comfort. Wear figure-fitting jeans and shirts, trust us, it will make you look slimmer. You don’t need skinny jeans to look skinny, just those that fit you. Your smile is your key to longevity. Take care of those pearly whites and they’ll return the investment ten-fold. Yellow or out of place teeth are one of the biggest contributors to poor first-impressions (clothes are number one). Obviously the usual “brush after every meal” applies here, but you should also consider professional whitening services. Over-the-counter whitening kits can work, but results can often be mixed. Ask your dentist about it, even if you don’t have dental insurance. Now, if you do have insurance, see how much can be covered with veneers. You can turn the clock by 20 years if your teeth are really stained, chipped, or filled with obvious signs of dental work. This is another tip that sounds obvious but is often overlooked for men trying to look young. Do you want to look young forever? Eating an unadulterated, raw diet with plenty of daily exercises. Japan has the oldest population per capita for a reason. The elderly eat a diet consisting of fresh seafood and they keep moving. With that said, eat lots of produce, lots of lean proteins, and as little sugar as possible. You shouldn’t need sugar in anything but your tea or coffee. Learn to cook for yourself and you can make desserts that don’t need sugar. If work is causing you stress, then you won’t be able to diet to look younger because stress nullifies it. Stress is a killer, it’s constantly overworking your body and your mind. Stress also feeds bad habits, which can cause more stress. Stress is probably making you lose your hair. Of course, you probably won’t grow it back if you do reduce your stress. There are ways to get it back, like FUE Clinics, for example. Cigarettes are not just aging you faster, it’s literally killing you faster. Tons of carcinogens work together to break down elasticity in your skin, discolor your skin, reduce blood flow, and more. Quitting smoking as soon as possible can help you regain some of your youth. It’s never too late to quit! Okay, technically this is two tips on how to stay young looking. Although, staying hydrated is a helpful way to get a better quality of sleep. If you’re not receiving at least 6-7 hours of uninterrupted sleep, you risk losing some of your youthful vitality. When you’re sleeping, your brain is busy storing away information and healing the body. Over time, poor sleep contributes to damaged skin, loss of vision (if you’re spending a lot of time on the phone), and memory loss. Well, there you have it; if you’re not doing any of the above, start making a list. Write down the things you need to change or do, then make a plan. It can be difficult to make major changes in your life’s routine, so try including friends and family. Other people can help hold you accountable if you’re not going to. Get more active in the health community and invest yourself in staying healthy. Our blog has plenty more tips, like these, on how to stay looking young, over the hill and beyond!